Make bearnaise reduction: in a small sauce pan, over medium high heat, combine 1/2 of tarragon, shallots, vinegar and wine and bring to a simmer. Cook until reduced by half. Remove from heat and set aside to cool. 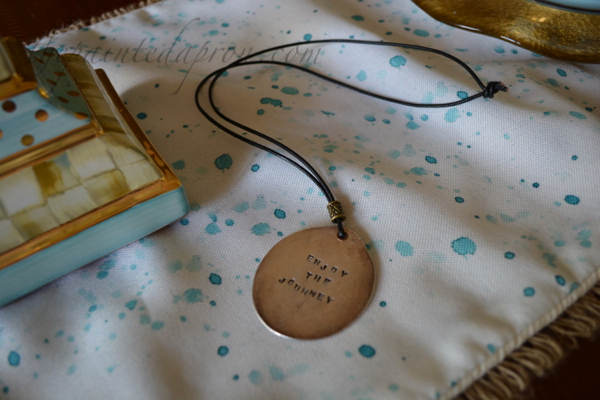 You can see more hammered spoon necklaces here. 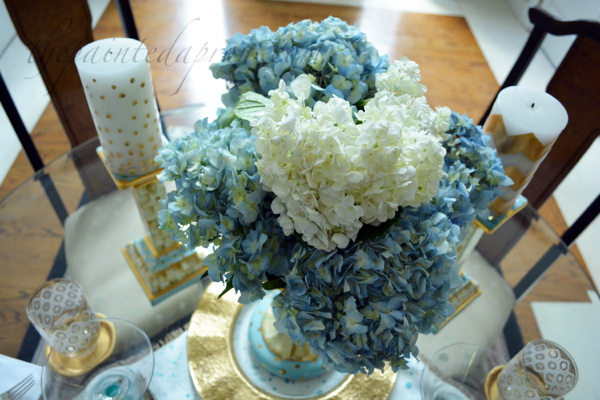 A lovely table to celebrate you anniversary Jenna. I like the way you think, being grateful, strength and joy! 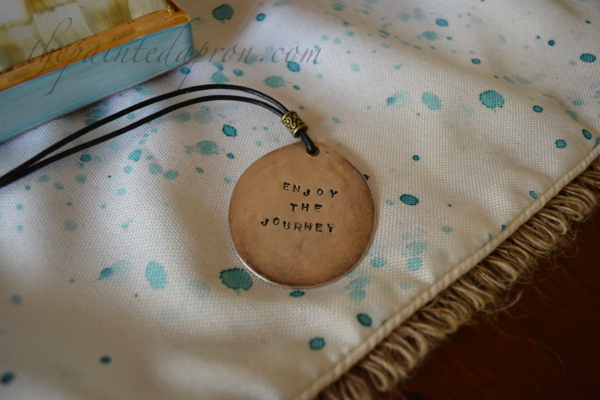 Yes, we need to enjoy the journey. The food looks delicious………….. I would have to agree that HH is indeed a pretty smart guy if he buys McKenzie-Childs! Hope your anniversary was lovely and sweet, and that there will be many more to come. Happy Anniversary to you and your sweetheart, Jenna! I love that you celebrated in such pretty style. Enjoy those happy times together. Thanks Joanne! I am headed back to the coast soon for several weeks, can’t wait. Be sure to check out the Gulf Coast Bloggers group, just click the button on my side bar, you might be interested in joining~ it’s a lot of fun! Happy anniversary, Jenna and Mr. Painted Apron and many more! 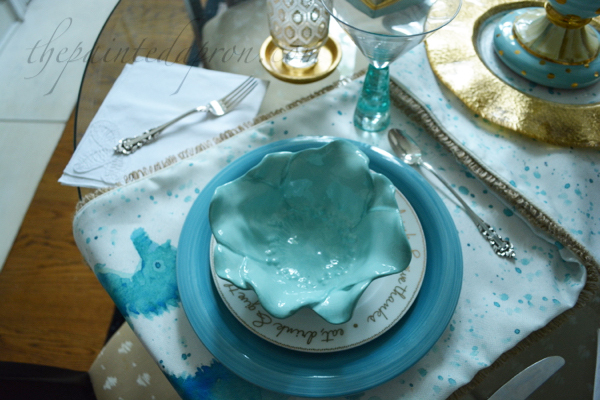 (Ours was on the 30th) Aqua is my favorite color for tablescapes…yours is beautiful. 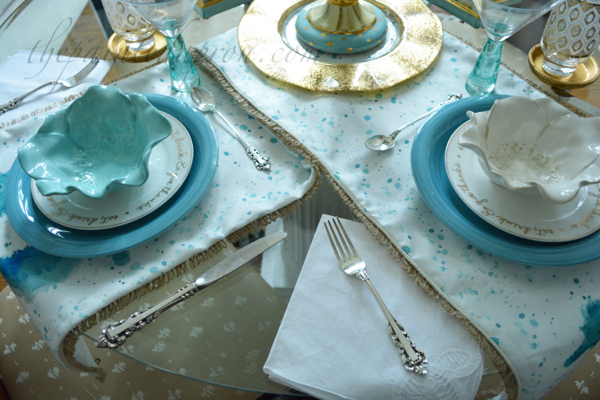 Love the table runner. 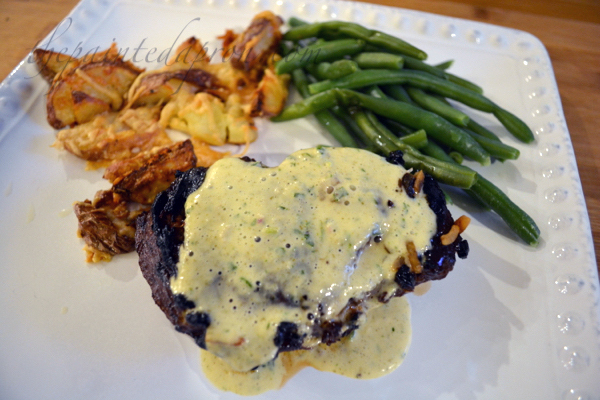 Yummy looking dinner, too. Happy anniversary Jenna! Your table is amazing. I love the Mckenzie-Childs. The colors are beautiful!! Happy Happy Anniversary. Time certainly goes by fast when you are having fun!! Beautiful setting. Beautiful! 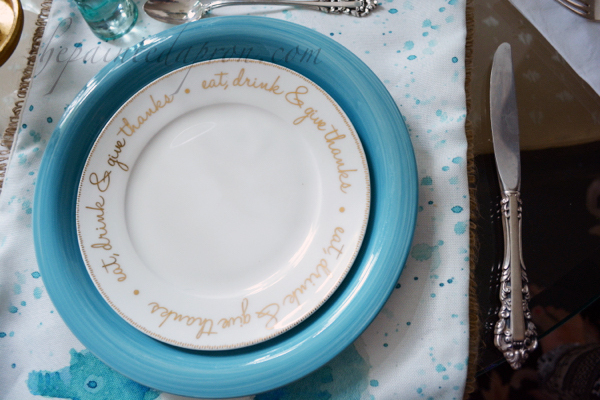 I love the table and the sentiment. Happy Anniversary! May God bless your marriage with many happy, healthy years together! 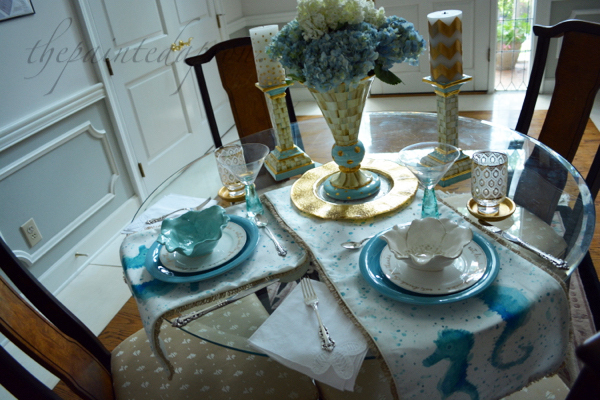 Jenna, The colors in your tablescape are beautiful and the seahorse runner is so cute! Happy belated anniversary. 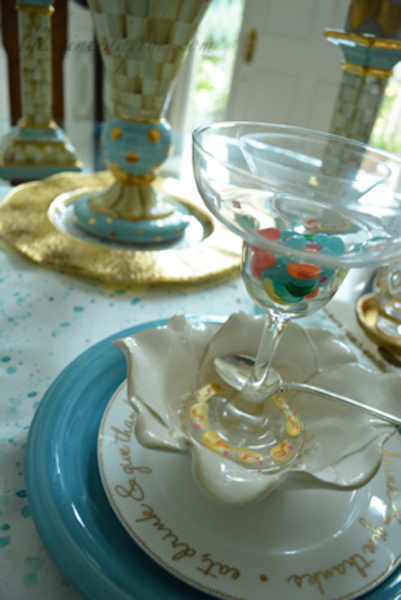 ps: I loved reading your Worst Decorating Mistake comment. Happy Anniversary! What a nice sentimental table. I like how you displayed the runner. I always have problems with those because they’re usually too long for my tables. 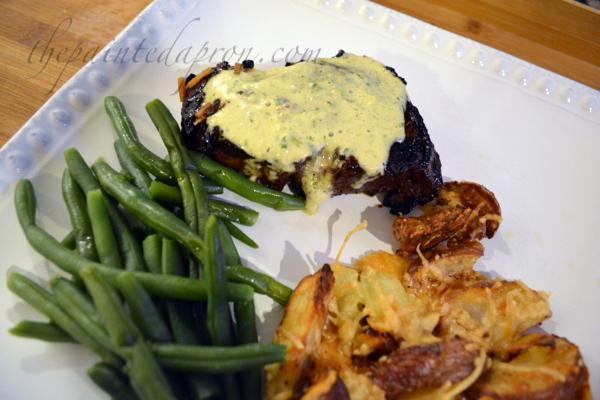 The dinner looked yummy and that bearnaise sauce sounds wonderful! Kudos to hubby on the candlesticks and vase! Happy anniversary Jenna! 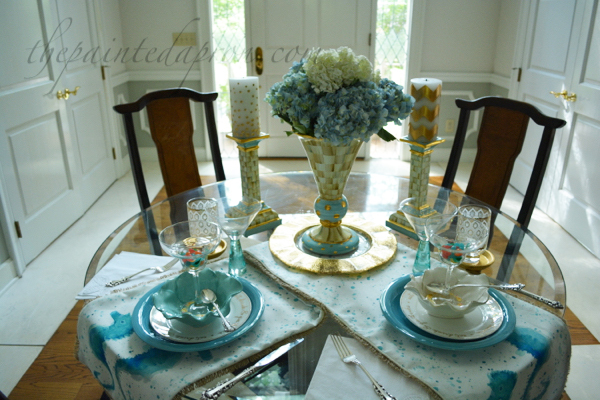 Love those sea horse table runners, they were the first thing that caught my eye on this pretty coastal table setting. I just love all of the blues that you have used. Hubby and I celebrated our wedding anniversary last week too. 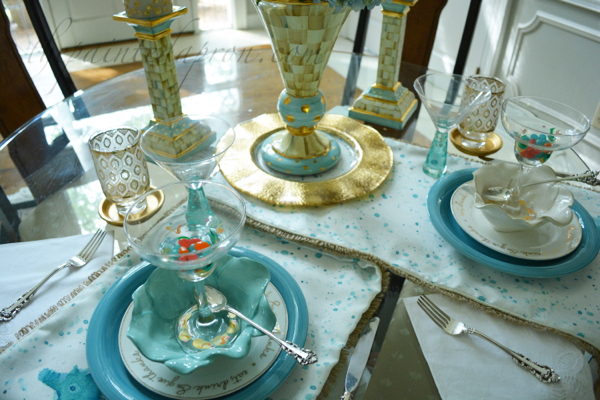 Beautiful colors in this tablescape. 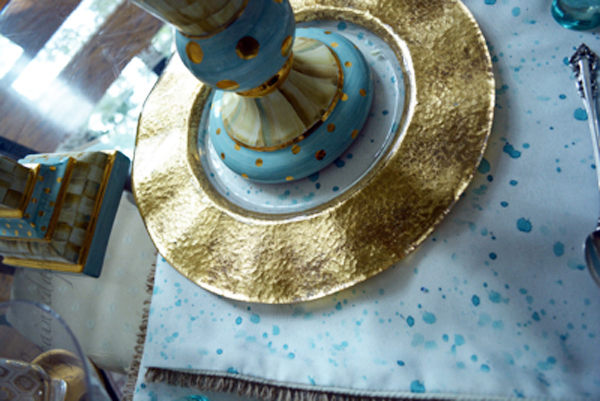 That blue is so pretty paired with the gold and white. Happy Anniversary! Have a great week…. What a beautiful way to celebrate your anniversary, Jenna. 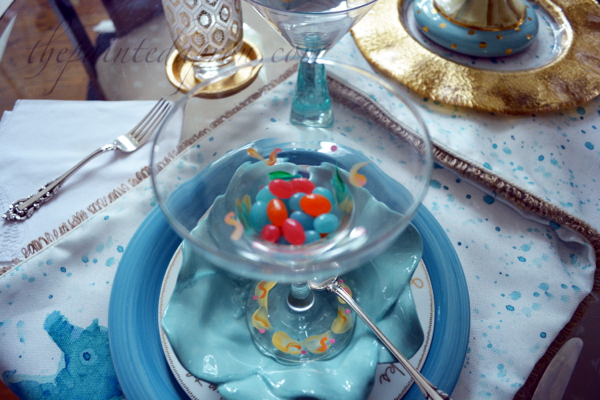 I LOVE the jellybean margaritas! That’s an example of why I love your style so much…always so fun and festive, and it’s clear to me that you do enjoy the journey. 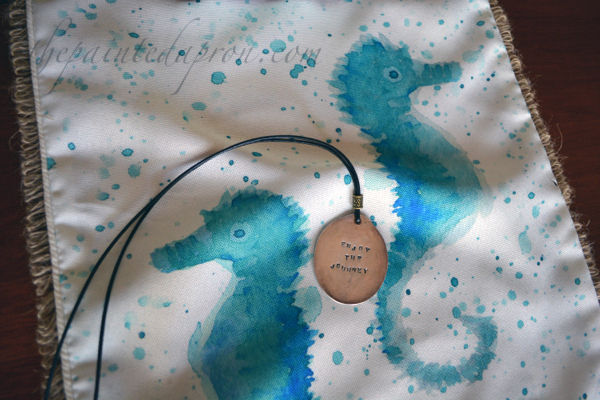 Hope you and hubby had a great anniversary and thank you so much for sharing the spoon necklace and the links back to my blog and shop.